In Metaphors in the Discussion on Suffering in Job 3–31, Hanneke van Loon offers a new approach to the theme of suffering in the book of Job. Her analysis of metaphors demonstrates that Job goes through different stages of existential suffering in chapters 3–14 and that he addresses the social dimension of his suffering in chapters 17 and 19. Van Loon claims that Job’s existential suffering ends in 19:25, and that chapters 23–31 reflect a process in which Job translates his own experience into a call upon the audience to adopt a new attitude toward the unfortunate ones in society. The theoretical approach to metaphors is based on insights from cognitive linguistics. A surprise about Jerome's biblical canon? THE ETC BLOG: Jerome’s Bibliology and the Greek Additions to Esther (John Meade). There appears to be evidence that Jerome's Old Testament canon was more flexible in practice than in principle. Tel Maresha Caves Reveal Lost World of the Idumeans. “Dig for a Day” & Israel Antiquities Authority excavate subterranean metropolis. This one gives some background on the site and the excavation. It also links to a relevant 2013 Biblical Archaeology Review article that is behind the subscription wall. Tel Maresha Caves Reveal Hellenistic Treasures. Bible and archaeology news. This one discusses the recent discovery of more than a thousand bullae (seal impressions), some inscribed with images and writing. It also notes some other finds in other rooms which have received less media attention. THE AWOL BLOG: SCADS: Seleucid Coins Addenda System. A huge interactive database. Cross-file under Numismatics. For PaleoJudaica's interest in the Seleucid Period, see here and links. ANCIENT JEW REVIEW: Covenant without Circumcision? What to Do with a Woman (Jill Hicks-Keeton). Circumcision, famously, is understood by ancient Israelites and Jews as a central marker of belonging, the sign of the covenant forged with their God. Some adherents to the God of Israel in the Second Temple period reasoned that gentiles too could choose to worship this God. If they surrendered their foreskins, they gained inclusion. Others disagreed. But what of those whose bodies did not have penises and were therefore erased from the conversation entirely? What of the unequipped, unqualified? What about, for example, women? More from Professor Hicks-Keeton on her work on Joseph and Aseneth. Background here and links. When does a day start in the Bible? IT'S COMPLICATED: Does a Day Begin in the Evening? (Dr. Hacham Isaac Sassoon, TheTorah.com). THE AWOL BLOG: Open Access Journal: International Journal of the Platonic Tradition. I've had a trawl though the TOCs of this journal and it looks very interesting. Its focus is on Plato, the standard Platonic philosophers, and the history of the interpretation of Platonism. It deals with ancient Judaism only occasionally, but it also has some articles on Gnosticism, Orphism, popular Platonism, magic, and other aspects of late antique philosophy and religion. Ecclesiastes, also known as Qohelet, is a fascinating text filled with intriguing contradictions, such as wisdom’s beneficial consequences, God’s justice, and wisdom’s superiority over pleasure. Under the paradigm of modernism, the contradictions in the book have been regarded as problems to be harmonized or explained away. In Reanimating Qohelet’s Contradictory Voices, Jimyung Kim, drawing on Mikhail Bakhtin’s insights, offers an alternative reading that embraces the contradictions as they stand. For Kim, Qohelet’s or the protagonist’s contradictory consciousness is dialogically constructed by his contact with a complex web of discourses. Instead of harmonizing them or explaining them away, Kim identifies various dialogic voices available to Qohelet and demonstrates how those voices constitute Qohelet’s contradictory utterances and construct his unfinalizable identity. Taking a fresh look at Josephus’ writings through a deliberately spatial lens can yield new observations. If Josephus’ history is laden with his own ideologies, is there any reason to assume that his geography is not? See Also: Mapping Galilee in Josephus, Luke, and John (Brill, 2016). John M. Vonder Bruegge, Ph.D.
TALMUD WATCH: The quest to put the Talmud online (Noah Smith, Washington Post). The Internet of 2010 contained many things, and free of charge. It had the full works of Shakespeare. It had robust English translations of classical Greek philosophy. It had just about every Miley Cyrus lyric. But when Joshua Foer, author of “Moonwalking With Einstein” and creator of the travel website Atlas Obscura, sat down one day to find a modern, complete English translation online of the Talmud, or Jewish Oral Law, he came up mostly empty, save for some pirated PDFs and a host of anti-Semitic sites. This article is more about the Sefaria website than about the specific project to put the Talmud on it. I first heard about Sefaria in 2014. And the effort to add the Talmud to it has been in the works since at least 2015 (see here, here, and here). They seem to be still in the process of uploading the whole Steinsaltz Talmud. In Revelations of Ideology, G. Anthony Keddie proposes a new theory of the social function of Judaean apocalyptic texts produced in Early Roman Palestine (63 BCE–70 CE). In contrast to evaluations of Jewish and early Christian apocalyptic texts as “literature of the oppressed” or literature of resistance against empire, Keddie demonstrates that scribes produced apocalyptic texts to advance ideologies aimed at self-legitimation. By revealing that their opponents constituted an exploitative class, scribes generated apocalyptic ideologies that situated them in the same exploited class as their constituents. Through careful historical and ideological criticism of the Psalms of Solomon, Parables of Enoch, Testament of Moses, and Q source, Keddie identifies an internally diverse tradition of apocalyptic class rhetoric in late Second Temple Judaism. THE AWOL BLOG: Coming Soon: MOOC: Biblical Archaeology: The archaeology of Ancient Israel and Judah, Aren Maeir. With a video trailer! Professor Aren Maier directs the Tell es-Safi/Gath excavation and posts regularly on The Tell es-Safi/Gath Archaeological Project Official (and Unofficial) Weblog. PaleoJudaica has linked to this blog from time to time. The oldest nunnery in Israel? ARCHAEOLOGY AND TRADITION: Earliest Convent in Israel Found at Grave Site of Samuel's Mother Hannah Monasteries abound in ancient Israel, but the 1,600-year-old nunnery and women's graveyard built where the miraculously impregnated Hannah, mother of Samuel, is believed to lie are unique (Miriam Feinberg Vamosh, Haaretz premium). At the top of a silent, pathless crest in central Israel lies Horvat Hani, where archaeologists have identified the ruins of the first convent ever discovered in ancient Israel, and a burial ground exclusively for women and girls. That cemetery would remain in use for over a thousand years, plied by both Christian and Muslim women in the region. The ruins at Horvat Hani may go back as much as 1,700 years, to the days of early Christianity in the Holy Land. The nunnery and cemetery were built on what the faithful believed to be the grave of Hannah, who the bible says became mother of Samuel by divine intervention. The case for the site being a nunnery founded in the fifth century looks persuasive, if perhaps not conclusive. The case for the third-century church having a connection with a traditional site of the grave of Hannah sounds more speculative. But it isn't presented in detail in this article. And any connection with the actual burial site of the biblical Hannah, if there was such a person, is very speculative and would be very hard to prove. To read this article, you need a free registration with Haaretz. Does the body or the soul cause sin? FOR YOM KIPPUR: Body or Soul: Which is Responsible for Committing Sins? (Prof. Ophir Münz-Manor, TheGemara.com). Incidentally, Epiphanius is quoting from the (now lost) Apocryphon of Ezekiel, so cross-file under Old Testament Pseudepigrapha Watch. BIBLE HISTORY DAILY; The Tel Dan Inscription: The First Historical Evidence of King David from the Bible. Tel Dan inscription references the “House of David.” A good, quick over of the state of the question concerning this important inscription. For some past PaleoJudaica posts on the Tel Dan Stele, see here and links (cf. here). Cross-file under Northwest Semitic Epigraphy. Last year's post on Yom Kippur is here. For background and previous posts, follow the link from there. Posts on Yom Kippur in the last year are here, here, and here. NORTHWEST SEMITIC EPIGRAPHY: When God Wasn't So Great: What Yahweh’s First Appearance Tells About Early Judaism. The oldest extra-biblical reference to Yahweh is in a 3,000-year-old Moabite stele, which boasts of defeating Israel, may mention King David – and paints a very different picture of God than the one we know (Ariel David, Haaretz premium). While the events narrated in the two texts appear quite different, one of the most surprising aspects of Mesha’s inscription is how much it reads like a biblical chapter in style and language, scholars say. Mesha explains that the Israelite king Omri succeeded in conquering Moab only because “Chemosh was angry with his land” – a trope that finds many parallels in the Bible, where the Israelites’ misfortunes are invariably attributed to the wrath of God. It is again Chemosh who decides to restore Moab to its people and speaks directly to Mesha, telling him “Go take Nebo from Israel,” just as God routinely speaks to Israelite prophets and leaders in the Bible. And in conquering Nebo, Mesha recounts how he massacred the entire population as an act of dedication (“cherem” in the original) to his gods – the exact same word and brutal practice used in the Bible to seal the fate of Israel’s bitterest enemies (for example the Amalekites in 1 Samuel 15:3). Although there are only a handful Moabite inscriptions out there, scholars had no trouble translating the stele because the language is so similar to ancient Hebrew. The story of the discovery of the Mesha Stele/Moabite Stone would make a fair Indiana Jones movie. This article has good coverage of that story and of the historical importance of the inscription. By the way — cross-filed under Cosmic Synchronicity — isn't it cool that the name of the author of this article is the same as a particularly mysterious phrase in the Mesha Stele? Again, you need a free registration with Haaretz to read this article. For past PaleoJudaica posts on the Mesha Stele, start here and follow the links. THIS WEEK'S DAF YOMI COLUMN BY ADAM KIRSCH IN TABLET: Finding Meaning in Calligraphy. In this week’s ‘Daf Yomi’ Talmud study, why even the crowns of Hebrew letters matter. Plus: The biblical Moses is relegated to the eighth row of a rabbi’s class, for not understanding the lesson. The Gemara goes on to give the most detailed rules for writing a Torah scroll that the Talmud has offered so far. When writing a Torah verse for a mezuzah, we learn, each letter must be perfectly formed. “Even the absence of the thorn of a yod” disqualifies the text. In addition, each letter must be separated from the next: “Any letter that is not encircled with blank parchment on all four of its sides is unfit.” And “seven letters require three crowns”: there are seven letters of the Hebrew alphabet that must be written with ornamental strokes or “crowns” on top. And there are some good stories in this week's readings. In Waters of the Exodus, Nathalie LaCoste examines the Diasporic Jewish community in Ptolemaic and Roman Egypt and their relationship to the hydric environment. By focusing on four retellings of the exodus narrative composed by Egyptian Jews—Artapanus, Ezekiel the Tragedian, Wisdom of Solomon, and Philo of Alexandria—she lays out how the hydric environment of Egypt, and specifically the Nile river, shaped the transmission of the exodus story. Mapping these observations onto the physical landscape of Egypt provides a new perspective on the formation of Jewish communities in Egypt. The e-book version is already out. This work was featured on AJR a couple of years ago when it was a doctoral dissertation. This is a long and very informative article on the new Zohar translation, perhaps the most informative one I have seen. But it is also quite accessible to nonspecialists. This is also a Haaretz premium article. You can access six of these for free per month with a free registration. My experience is that the registration isn't particularly easy to use and seems to malfunction a lot. But that may be me rather than Haaretz. If you are interested in the Zohar and the new Matt translation, this article is worth a registration and a read. There are many, many PaleoJudaica posts on the Zohar. Start here and just follow those links. Many of those have to do with the Matt translation, whose progress PaleoJudaica has been following since 2003. REDACTION CRITICISM: Moses Wrote Down this Song, Deuteronomy 31:22 – Which Song? (Dr. Rabbi Tzemah Yoreh, TheTorah.com). It seems obvious that the song referred to in God’s speech in Deuteronomy 31 is Ha’azinu, though some verses in this chapter imply that it might be the Torah itself. A redaction critical look at God’s speech suggests that neither of these was the original referent. On the one hand, I tend to be skeptical of redaction-critical reconstructions, since they generally involve a good bit of circular reasoning. Sometimes they are persuasive, but more often they just seem possible – at least to me. On the other hand, most of the songs in the Pentateuch and the Deuteronomistic History do seem to me to have been written earlier than their prose contexts and not necessarily for the purpose given in those contexts. I like to think of the prose context of a biblical song as the music video that goes with the song. Often the video gives the song a new frame and imposes a meaning quite different from what seems to be intended in the song itself. Likewise with the prose framings of the biblical songs. There comes a time in every person’s career where they have to take a new opportunity even if it means leaving a place and people that they love. Unfortunately for me, that day is today and it is with deepest melancholy that I have to say farewell. I have been blessed to have spent the last 2 ½ years with the Temple Mount Sifting Project. You may not know me, but I am the person behind most of our blog posts, newsletters, and social media, with a little grant writing, donor relations, video editing, and research added in for good measure. I also led many of the tours in English at the site in Emek Tzurim. For many, many PaleoJudaica posts on the Temple Mount Sifting Project, start here and follow the links. THE AWOL BLOG: Welcome to Perseus under PhiloLogic, 2018. Perseus Project Texts Loaded under PhiloLogic. Final season for PhiloLogic 3, Summer 2018. A search engine for Classical Greek and Latin texts. It includes material mostly from the Perseus database, but also from elsewhere. Looks useful. BIBLIOGRAPHIA IRANICA: Zoroastrian and Ancient Iranian Astral Science. Notice of a new book: Brown, David. 2018. The Interactions of Ancient Astral Science. with contributions by : Jonathon Ben-Dov, Harry Falk, Geoffrey Lloyd, Raymond Mercier, Antonio Panaino, Joachim Quack, Alexandra von Lieven, and Michio Yano. Bremen: Hempen Verlag. As the book's title indicates (and the blurb at the link explains), this book is about ancient astral science worldwide, including, for example, the West Semitic world. 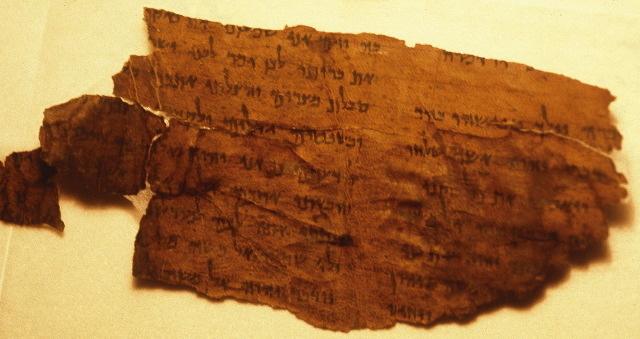 The TOC indicates that there is detailed treatment of relevant material from the Qumran library. Judaism and the Economy is an edited collection of sixty-nine Jewish texts relating to economic issues such as wealth, poverty, inequality, charity, and the charging of interest. The passages cover the period from antiquity to the present, and represent many different genres. Primarily fresh translations, from their original languages, many appear here in English for the first time. Each is prefaced by an introduction and the volume as a whole is introduced by a synthetic essay. These texts, read together and in different combinations, provide a new lens for thinking about the economy and make the case that religion and religious values have a place in our own economic thinking. Judaism and the Economy is a useful new resource for educators, students, and clergy alike. This book contains much of interest for the study of ancient Judaism. Announced by Professor Satlow on his blog here. BIBLE HISTORY DAILY: Biblical Riot at Ephesus: The Archaeological Context. As usual, the BAR article itself is behind the subscription wall. But this essay gives you a taste of it. THE AWOL BLOG: Israel Antiquities Authority Library Catalog Online.